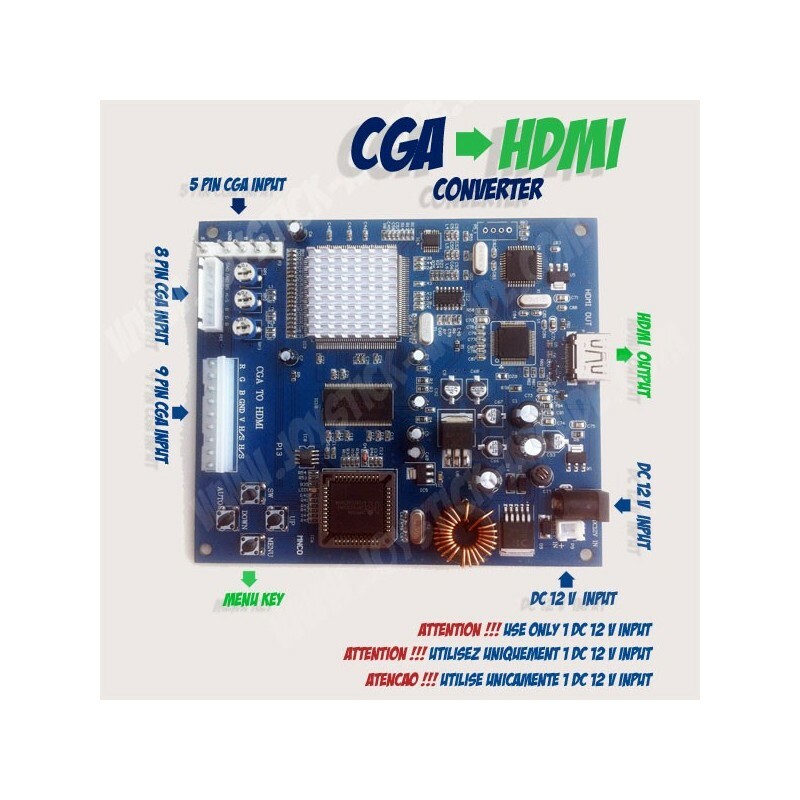 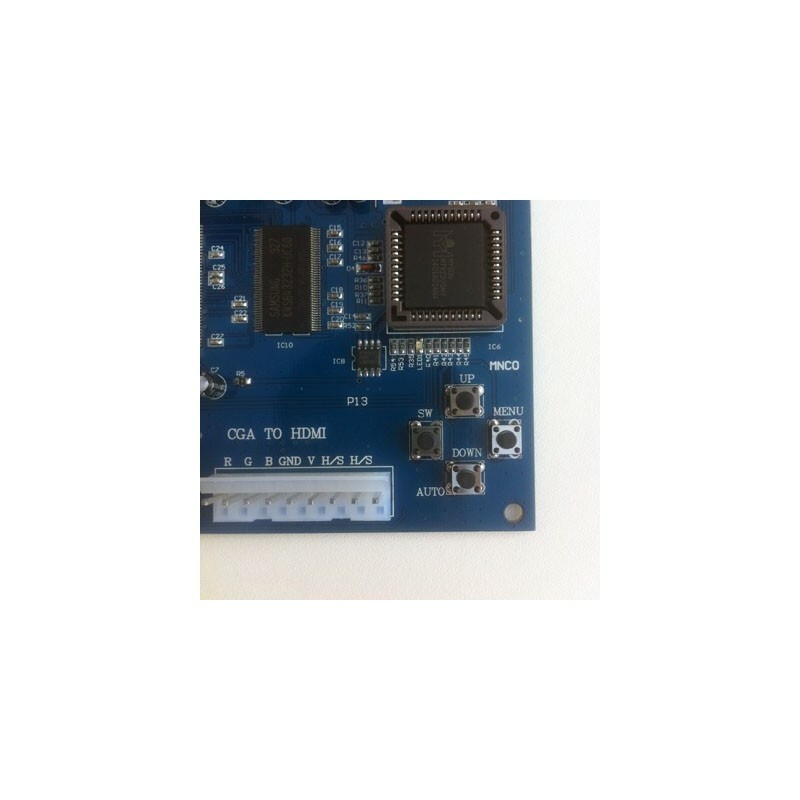 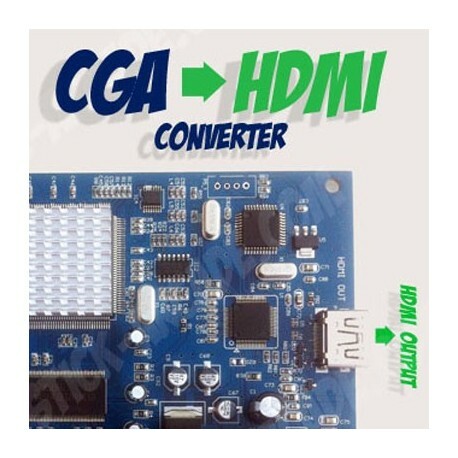 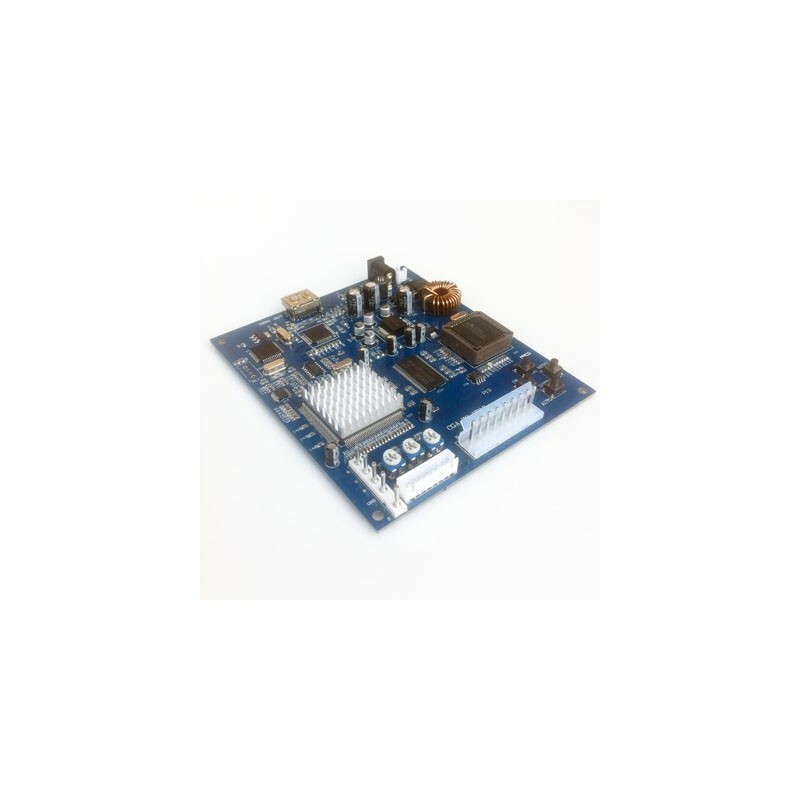 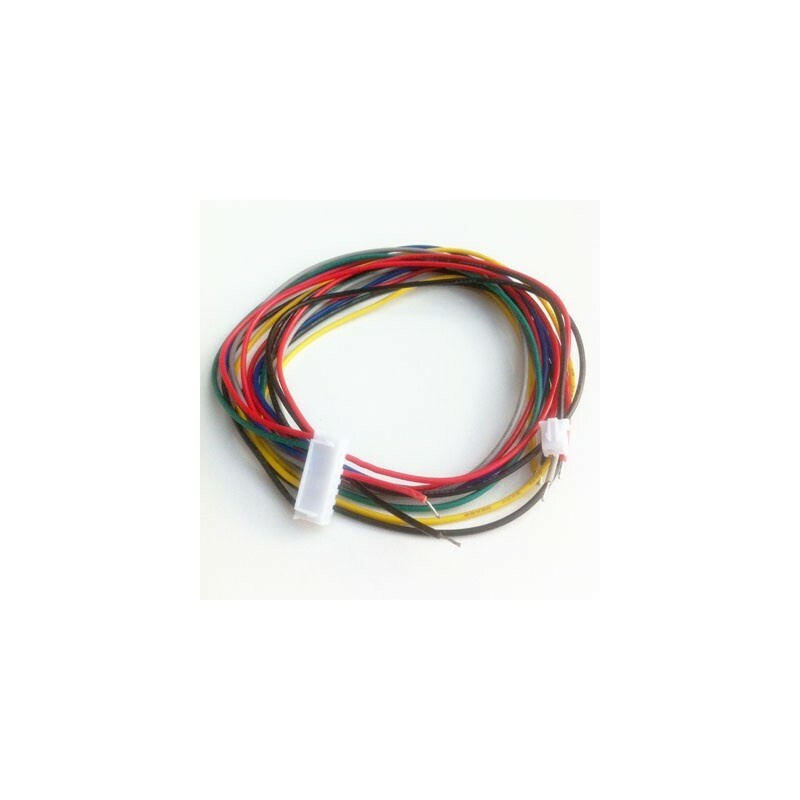 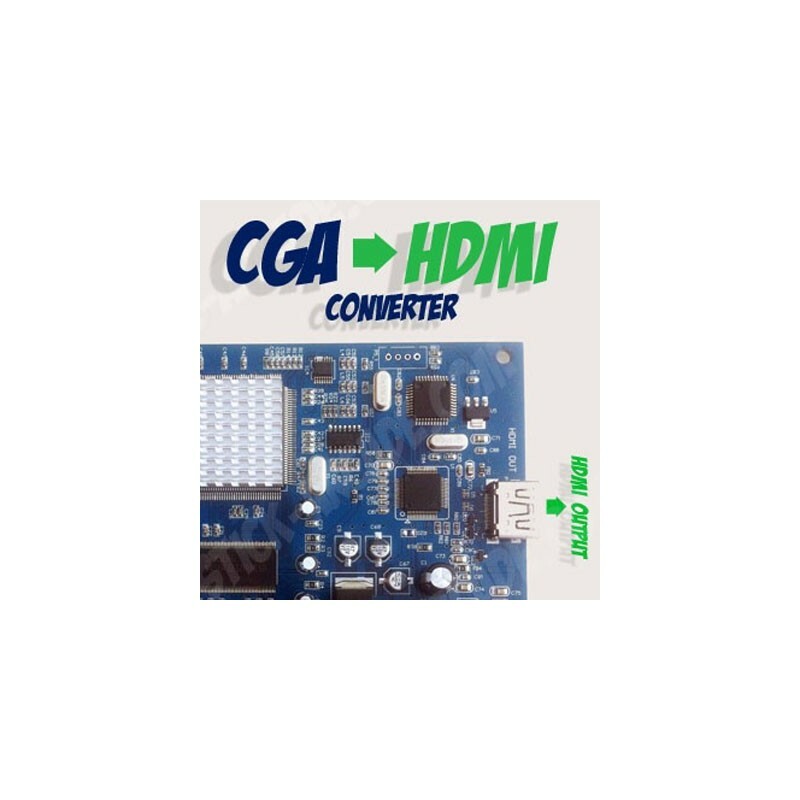 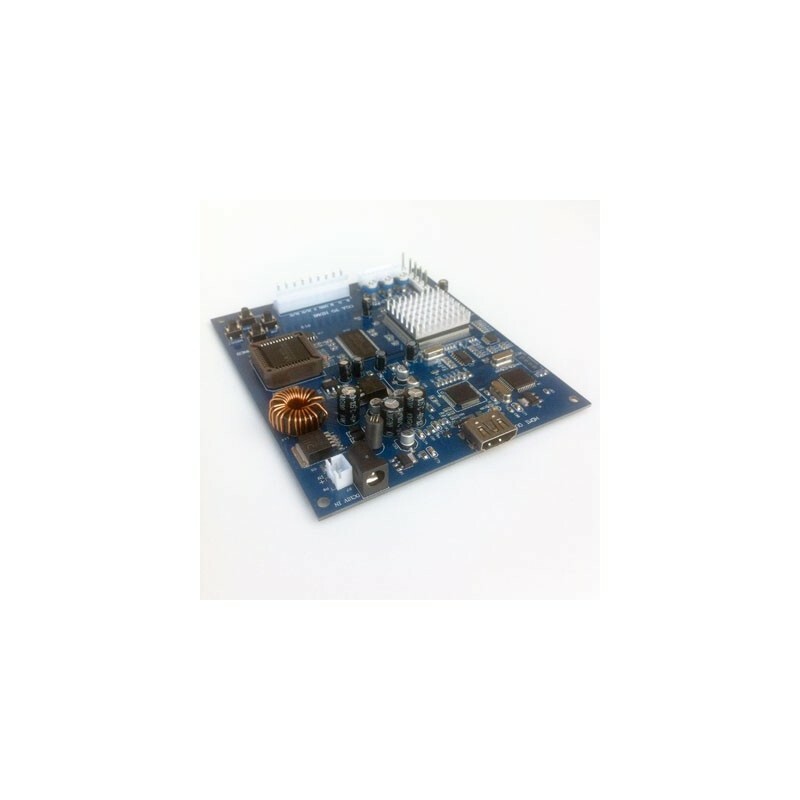 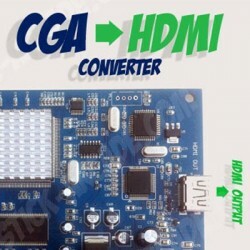 CGA to Hdmi converter board for RGB to be up-converted and displayed on a TFT or LCD display or a HD-TV with Hdmi connection. 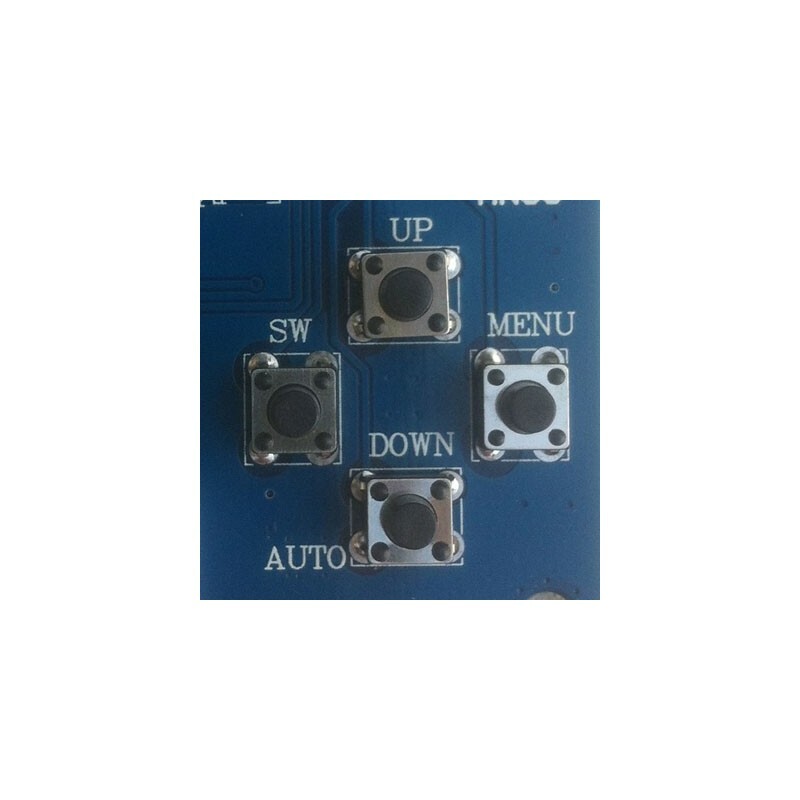 Inputs are automatically detected meaning there are no dip switches to set to specify frequency. 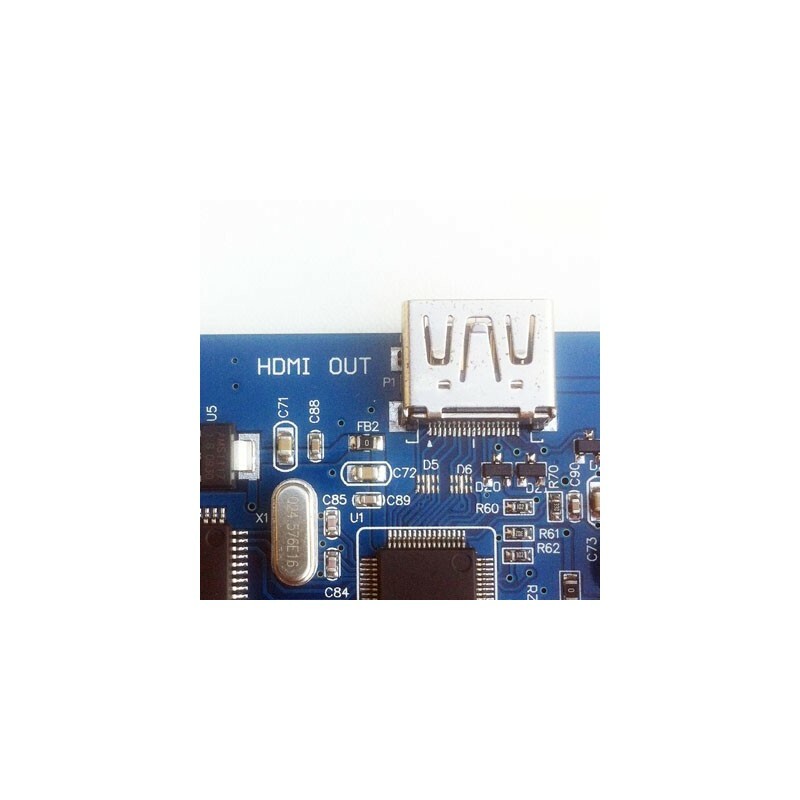 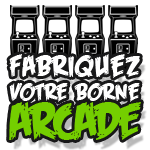 Perfect for use with an existing LCD monitor in your arcade cabinet build, bartop build, cocktail table restore or other arcade project.